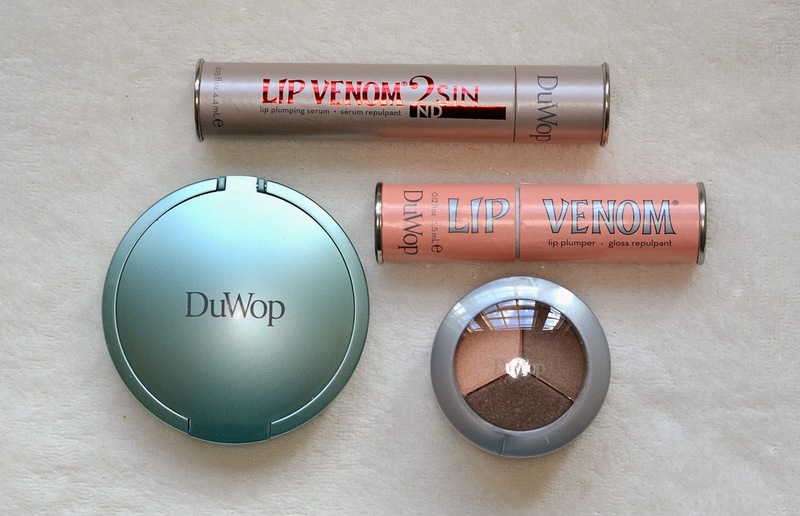 Introducing DuWop Makeup: It’s Not Just Lip Venom! As our needs become ever more complex and our budgets are continually stretched, we need effective and innovative products that make our lives easier and our faces more beautiful. A lipgloss in a pretty pack is one thing, but a super slick tube and a plumping formula make it even better. DuWop are a brand I’ve previously heard of, but until recently I had no experience of their multi-functional products that have become so iconic amongst beauty enthusiasts. 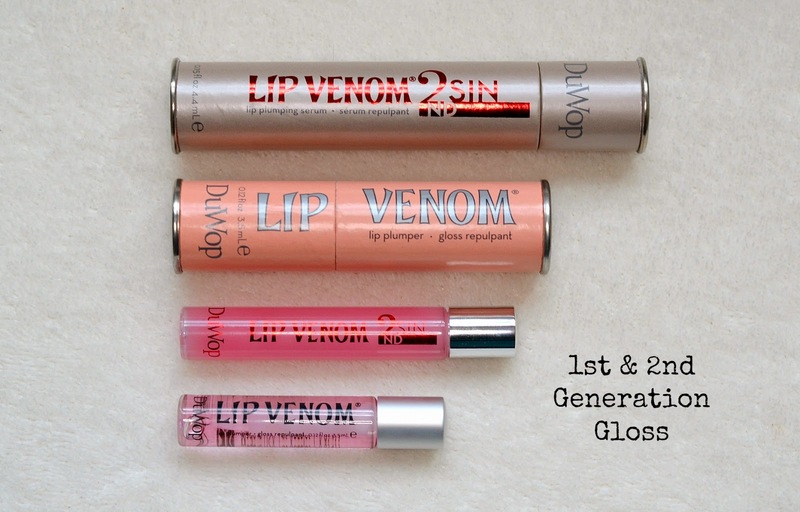 Their Lip Venom plumping gloss was the original product that sparked a revolution in the beauty industry; working by encouraging blood to rush to the surface as a blend of essential oils provide a delicate tingle, lips are plumped and benefit from a glossy sheen. Celebrity fans include Lindsay Lohan, Jennifer Aniston and Sienna Miller, so what’s the secret of DuWop? tingle, as well as providing a yummy scent. The gloss is super shiny, but it isn’t sticky or gloopy like many other glosses, ensuring it’s great for daily use and suits all skin tones. However, if you’re not a fan of the slightly warm sensation then DuWop have launched a second generation gloss that provides a slightly cooling sensation instead. 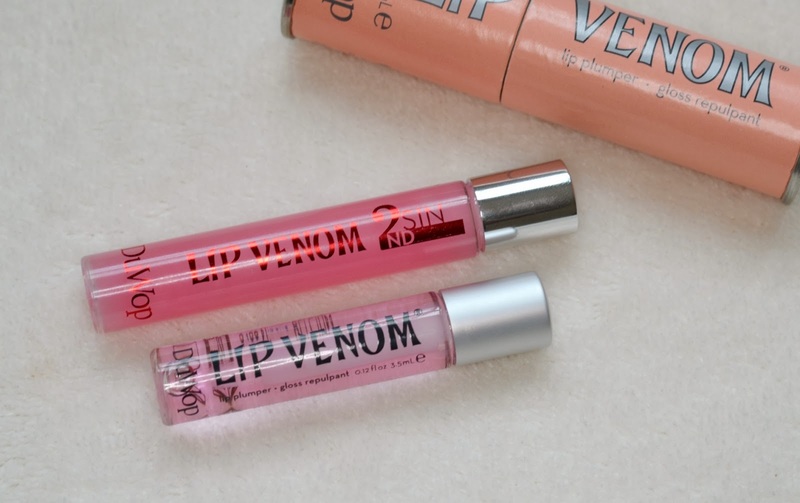 Lip Venom 2nd Sin lipgloss is available in a slightly darker pink shade and a bigger bottle (unfortunately increasing the price from £15.00 to £26.00,) and is extremely pleasant to use. Both of these glosses provided me with a subtle plumped effect that was neither uncomfortable or unnatural, but did encourage me to push out my lips and feel a little sassier – something that every woman could benefit from! Although these are teeny tubes and are quite pricey, you need a really small amount to get the plumping effect and the applicator ensures you don’t use too much. The plumping effect is the result of subtle irritants within the formula that encourage blood flow to the lip surface, so if you suffer from dry or sensitive lips I would definitely give this a miss. Also, it’s vital that you limit use of this to only a couple of days a week so you don’t cause your lips to become dry or over-irritated; it’s not the sort of lipgloss you chuck in your bag to use on the go, so I would totally recommend using it sparingly. However, I can totally see why Lip Venom has so many celebrity fans – a subtle slick of the gloss can make your natural pout look a little more ‘red carpet ready’ in seconds. In addition to the fab lipglosses, DuWop offer a range of handy cosmetic products that make life a little easier for everyone. I’ve been using the Fall Out Eyeshadow trio, which includes three complimentary colours that blend well on the eyelid, as well as a little pot of transluscent powder which should be placed under the eye before you apply the shadow. This should catch any ‘fall out’ from the shadow as you apply, preventing blotches on your perfectly applied base – you simply brush the whole lot away from the face with a fluffy brush! 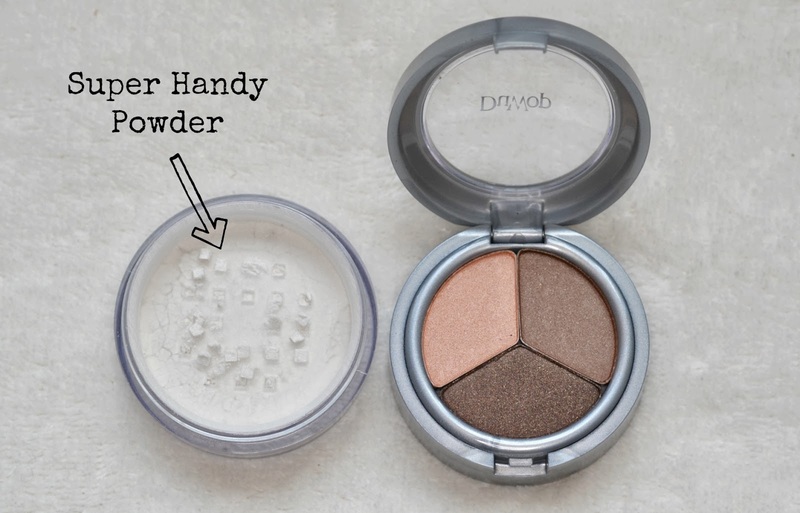 Although this isn’t an innovative concept (makeup artists have been placing face powder under the eyes to catch stray powder for years,) it’s handy to have it all in one product: especially if you’re using it when on the go. DuWop’s Mattillume Purifying Translucent Powder is also a great innovation for those of you seeking a radiant and perfect complexion. It mattifies, provides subtle luminosity, reduces the appearance of fine lines and sets makeup in place. The deeper pigment in the pan also allows you to customise the colour and subtly contour the face, making the most of your cheekbones. The two different shades also provide a much more natural finish that a one-colour powder, which can often make the wearer look like a china doll. Although it looks and feels like a super light powder, the formula is actually baked clay which draws skin impurities to the surface so they can be washed away at the end of the day; it’s makeup and skincare in one. Perfect for those of us working in cities or suffering from breakouts, this little powder pot is handy in so many different ways. Although DuWop products are quite pricey in comparison to their High Street alternatives, if you’re interested in investing in a handful of products (rather than splurging on fifty different lipglosses,) then this is definitely a brand to investigate. 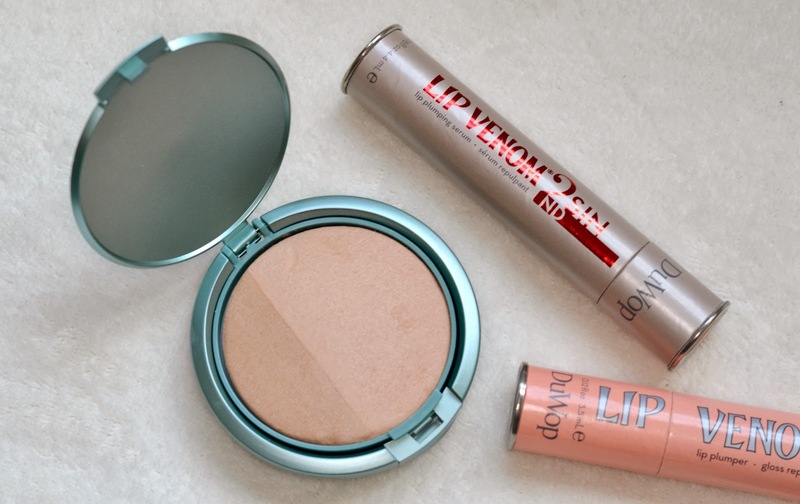 I for one am loving the powder compact, knowing it’s benefiting my skin beneath the surface and making my skincare routine even more effective. DuWop is available online – currently up to 50% off via Look Fantastic. Original Lip Venom RRP £15.00; Lip Venom 2nd Sin RRP £26.00; Translucent Powder RRP £27.00; Trio Eyeshadow RRP £22.00.